This was quite an unusual gift to receive from the Lovely Snus Girl. I have never seen this Snus before, or the packaging and I was shocked to discover that it was a General product; I thought I had tried them all! The black rectangle packaging is quite a novelty and since I love everything Scandinavian, the name Nordic mint, was something I had to try right away. 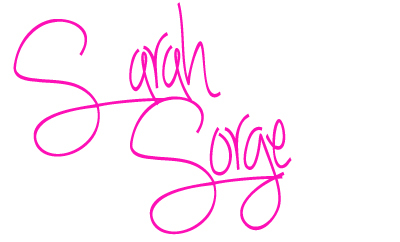 Curious about this product I went online and did some reading. Apparently it was brought out by general into the American market to compete with the Camel and Marlboro versions of so called “snus”. I can tell right away by the aroma and portion size and consistency, that it is not even in the same ballpark! 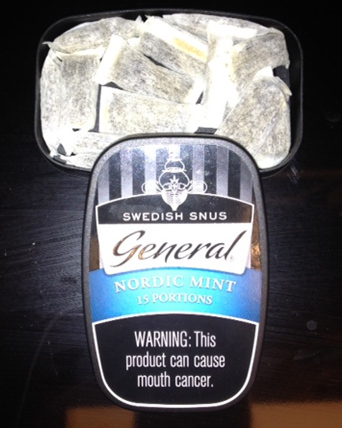 Unfortunately I was not living in the “test market” areas and was unable to get a hold of this snus until now. I really wish Americans were not exposed to the camel/Marlboro junk and were able to taste real Swedish Snus right off the bat. When I first started using snus in 2008 I was blessed to read about real snus first and I was educated and not tempted to try the American floor sweepings in a tea bag rouse. I waited patiently for my first order and I was off from there! I did buy a tin of camel spice just to see what it was like. I used one portion, tossed the rest out and used to metal tin to keep quarters in for the Los Angeles parking meters. The smell of Nordic Mint is AMAZING! Think of Wrigleys Double Mint gum, throw in some tobacco and there you have it, the most pure, obvious spearmint/peppermint snus on the market. The portion size is perfect and fits in my mouth without any obvious signs or discomfort. It’s Longer then a regular portion but not as wide and is filled evenly so there is no problem with bunching up like other snus can do. The taste was just as pure and ferocious as the smell and you would swear that you had gum or candy in your mouth and not snus, it is sweet, minty and unlike every other Swedish snus product I have tried. I have a love hate feeling on the taste. I LOVE the mint flavor, I HATE the sweetener. It has some kind of artificial sweetener in it. I do not like sweets of any kind (especially artificial sweeteners) and this was a deal breaker for me. I hated the sweet drip down my teeth and I could still taste it on my lip an hour later, not pleasant at all. I like snus with as minimal processing as possible. Give me something with tobacco, salt and a slight flavor and im happy. I know they did this to appeal to the American sweet tooth but they really don’t have to, people will adjust and come to love the real Swedish snus taste like I do. The nic hit is also not impressive with a measly 7mg per portion. For a portion this size you would expect a lot more. The amount you get is also lacking. For example Thunder cans weigh in at around 20 grams, this was only 13, so you are getting significantly less for around the same price, not good value for money. In my humble opinion, if they took out the sweetener and kicked up the nicotine to 12-16mg’s, they would have a winner product, but as is I would not purchase it. For people who are starting out on snus and those switching from American Chew to snus this might be for you but I cannot recommend it to the seasoned snus user, it just doesn’t cut it! 1 comment on "General Nordic Mint Portion Review"
Good review! I don,t like it as well as the regular or white or even the Mint, but it not bad though. It will not be my regular use snus. I do not like the fewer number of portions either (currently it is 12). It seems they could fit 20 in there. I hope it is not a trend, and that they keep releasing new regular size portions here. Also, you are wrong about camel crap "snus", they use imported tobacco sweepings, not american.